There are basically two types of corn that you can use to catch catfish: feed corn (also called maize or deer corn) and sweet corn. 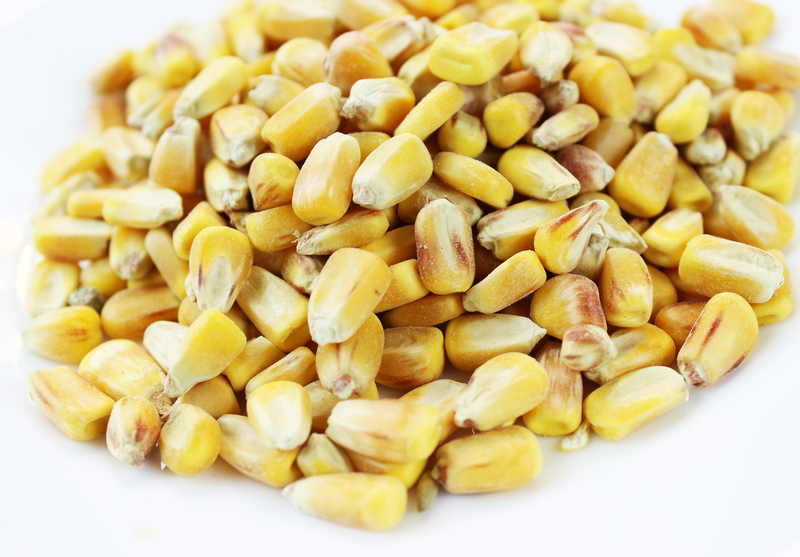 Feed corn is tougher, less sweet, cheaper, and have larger kernels. 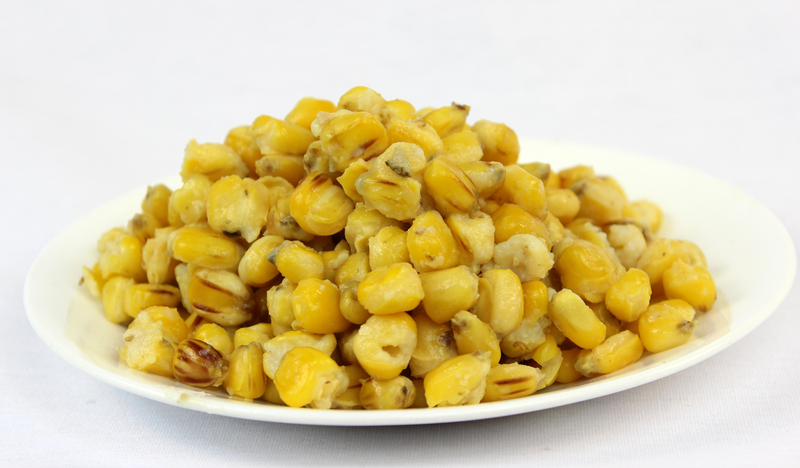 Sweet corn requires no preparation and has small sweet kernels that catfish love. Catching catfish with feed corn is easy, it just requires some preparation. Feed corn is sold dry in 50 lb bags. Feed corn is super cheap. A 50 lb bag usually only cost about $12. 50 lbs of dried feed corn makes close to 200 lbs of bait. You can buy feed corn at feed stores, hunting stores (called deer corn) or even walmart during some of the season and in more rural places. Many people use feed corn to attract and feed deer on their property. You prepare feed corn by soaking it in water. You CANNOT use feed corn dry. If you throw dry feed corn in the water the fish have trouble digesting it and then it will expand in their stomach and can kill the fish. 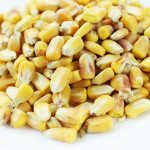 Soak the feed corn in water overnight and then boil it for several hours. The corn kernels will swell up to about double their size and then begin to split. As the kernels are boiling you can tell its done when the kernels begin to split and you can squish the kernels between your fingers easily. When the kernels are done, remove them from the heat and remove the excess water. Once it is cooled put it in buckets and keep it cool or it will spoil pretty quick. I have a refrigerator in the garage where I keep my boiled corn. In the sun boilied feed corn will go moldy and rancid in a couple days. 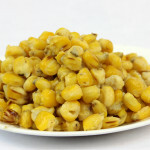 In the refrigerator the boiled feed corn will stay good for several months. I proffer fishing for catfish with boiled feed corn in the summer time because the larger tough kernels are harder for small blue gill to steal. The catfish really love it, its a great chum and the small fish tend to leave it alone. Using feed corn works best with channel catfish and blue catfish. Here is a video about how to prepare feed corn and other great particle baits for catfish and carp. A sweet corn and bread crumb stick mix is my favorite way to fish for catfish. Sweet corn is a great catfish bait. Using sweet corn to catch catfish works better in winter time because the small fish are less likely to steal the kernels. I use sweet corn in my winter stick mixes all the time in the winter and it works great for channel catfish and blue catfish. 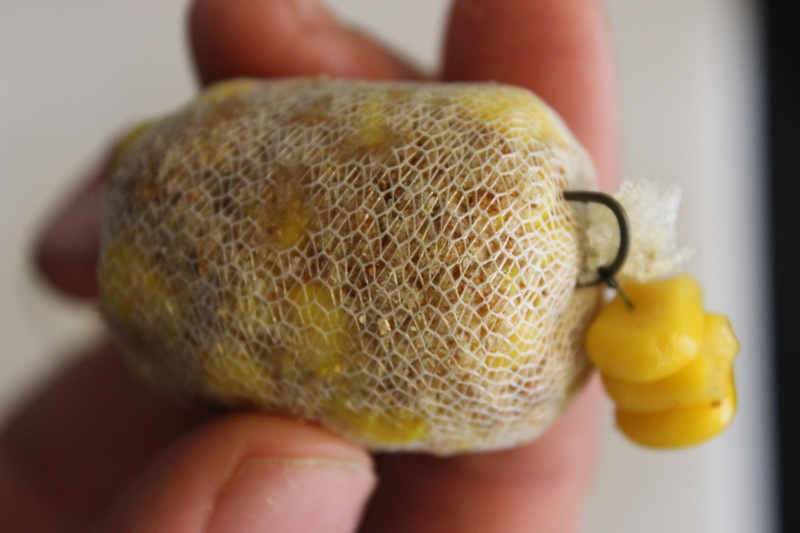 Sweet corn is much more convenient because you can just keep a can or two in your tackle bag without any need to prep tons of feed corn. I tend to chum heavily when using sweet corn in the summer. The chum reduces the chances of small fish stealing your bait by giving the small fish plenty to distract them. 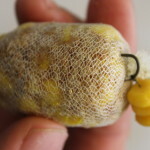 Additionally, the small sweet corn kernels are hard to see by themselves so chummign draws the catfish in from farther away. Check out our video demonstrating how to make a sweet corn and bread crumb winter stick mix that works great for catfish and carp. Here is a video of me catching catfish and carp on my sweet corn stick mix.